In 1836 newcomers from the United States along with their Tejano (Texas Mexicans) allies, took up arms against the Mexican government and successfully seceded from that nation. Following the Battle of San Jacinto, which ended the Texas Revolution, Texians (Anglo Texans) ordered Mexican prisoners to clean the swampland on which Houston would be built. Afterwards, most would be sent home, but many stayed, creating the starting point of early Mexican settlement in the Houston region. Between 1836 and 1900, Mexicanos lived on the outskirts of Houston coming in to town mostly to find work. By 1900, they began to settle permanently within the city, occupying a region southeast of downtown called the Second Ward (Segundo Barrio), which quickly became the unofficial hub of their cultural and social life. After 1900, approximately 1,000 Mexicans Americans lived in Houston. Showing tenacity and creativity, they formed a viable community with networks of businesses, organizations, and religious and cultural institutions. By 1910, an estimated 2,000 people of Mexican extraction lived throughout the city. One of the earliest Mexican American neighborhoods to emerge in Second Ward was El Alacrán (the scorpion). Another was Magnolia Park, although it formed further east along the Houston Ship Channel. North of downtown in the Fifth Ward, Mexican Americans established a residential zone, and about 100 Mexican American families settled in the Heights area. Most of the early Mexican American neighborhoods were poor areas without paved streets, running water, gas, or electric services. They would eventually get those things but not before the areas experienced permanent settlement and growth. Mexican Americans worked in most industries and established a variety of businesses which would lay the foundation for a bustling Mexican American economy. Traditionally, they worked as tailors, clerks, cooks, and boot makers, like Feliciano Medel who helped make Houston a capital of western boot making. Many worked in the oil refineries, on railroad shipyards, or on crews building the Houston Ship Channel. Overtime a number of Mexican-American-owned businesses emerged throughout the city. Businessmen and businesses like Jose Gomez’s sign painting company, Eciquia Castro’s café, Francisco Hernandez of the Alamo Furniture Company, Jose and Socorro Sarabia of Hispano Americana Book Store, Melesio Gomez of La Consentida café, and La Preferencia Barbershop of Magnolia Park. 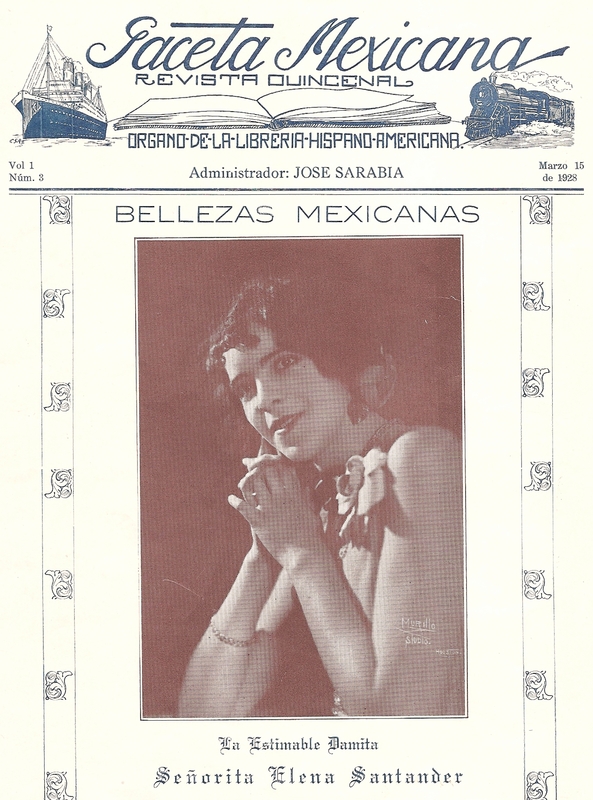 Mexican Americans also owned and operated various printing shops and produced some of the earliest Spanish language newspapers in town, including El Anunciador, La Tribuna, El Tecolote, and La Gaceta Mexicana. Mexican Americans would also manage drugstores, restaurants, bakeries, schools, barbershops, ice cream parlors, dry good stores, and gas stations. They also worked in white-collar jobs as bankers, courthouse aids, postal men, lawyers, actors, singers, and as teachers like John Mercado who taught Spanish at Houston High School. Mexican Americans also established a variety of social, cultural, religious, and political organizations to provide support to the budding communities. El Campo Laurel, considered the first Mexican American organization in town, was established in 1908 and offered services ranging from recreation to insurance. Other self-help organizations included Mutualista Benito Juarez of Magnolia Park and Pasadena’s Mutualista Miguel Hidalgo. One of the most influential and business savvy organizations to form during this period was Club Femenino Chapultepec, which was founded by women in 1931 to secure jobs for Mexican Americans in Houston’s slowed but steady business sector. All of these early clubs played an important role, at times offering the only protection for a people with few public resources.